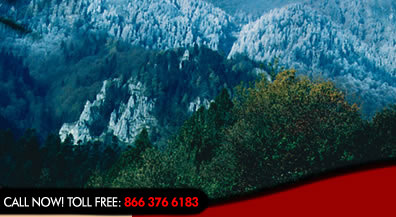 - Choose our Guided tours Romania and tour or country. - Join us on the Halloween editions of our Guided tours Romania and attend two amazingly fun Halloween Parties in Transylvania. Don't forget your costume! Book our Guided tours Romania and enjoy an amazing holiday in our country. Visit places related to Vlad the Impaler, such as Bran Castle or Poienari Castle, situated high in the mountains. You can also visit Dracula's alleged final resting place, Snagov Monastery. Meet unique people, such as traditional craftsmen and learn all about Transylvania's customs and traditions. Your guide and the local people will tell you all the dark myths and legends surrounding Dracula. Join us on our Awarded Halloween Tours and spend your holiday in the land of Dracula. You can choose a 3-Days Short Break, departing from Cluj-Napoca or Bucharest, or you can book our Awarded 7-Days Dracula Tour for the complete experience. The itineraries include visits to famous landmark and places related to Dracula, as well as many special events and surprises. The Halloween editions of our Guided tours Romania also include two Halloween Parties: one in Sighisoara Medieval Citadel, Dracula's Birthplace, and a second one in the grounds of Bran Castle. If you are not interested in history, but you want to have fun during our parties, you can choose a 1-Day tour or a 2-Days tour. These include accommodation and tickets to the parties. For specific details, you can consult our tour list below. Choose the Halloween editions of our Guided tours Romania and attend two amazingly fun Halloween Parties. 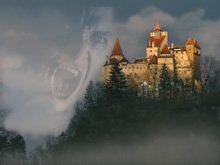 One of them takes place in Sighisoara Citadel, Dracula's birthplace and the other one will be hosted by Bran Castle, described by Bram Stoker as Dracula's Castle. The Halloween Party in Sighisoara is the highlight of the Halloween tours. Join us, enjoy the special events we prepared and party with us till morning. This Halloween party also includes the Ritual of Killing of a Living Dead, performed by our team according to old customs and traditions. The second Halloween Party takes place in the grounds of Bran Castle. Attend an exclusive evening guided tour of the Castle and then enjoy a horror movie projection. If you survive, join us in the grounds of the castle for the afterparty. Book your Guided tours Romania now! Book one of these unforgettable Guided tours Romania now! Visit our country, discover the legend of Dracula and have fun at our unique and fun Halloween Parties. Once you send us your booking request, you can sit back and let us do all the work. 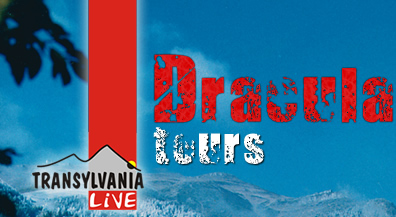 Check out the itineraries of each Dracula tour below and make your choice! One of the Guided tours Romania departing from Bucharest, intended to Dracula enthusiasts, culture and history fans, adventure seekers who want to enjoy one of the best Dracula tours. The tour includes the most important historical places related with Vlad the Impaler such as: Snagov Monastery where, Vlad was buried after his assassination; Sighisoara - Dracula's birth place, Dracula’s Castle in Borgo Pass, built according to Bram Stocker’s imagination and the legendary Bran Castle. Enjoy the best Halloween Party in Sighisoara Citadel - Dracula’s birth place! A 3 day short break including a UNESCO World Heritage Site, Sighisoara Medieval Citadel, Vlad the Impaler’s birthplace. Visit Transylvania’s iconic image, Bran Castle and the Medieval city of Brasov a quick way to enjoy one of the best Guided tours Romania. The Halloween Party includes a delicious traditional Romanian festive dinner washed down with fiery spirits and wines. Participate to a special programme including the Ritual of Killing of the Living Dead, magicians Show and many dark surprises. It’s time for the ultimate Halloween Party, in Sighisoara Citadel - Dracula’s birth place! A short break that include a UNESCO World Heritage Site, Sighisoara Medieval Citadel, Vlad the Impaler’s birthplace, Transylvania’s iconic image, Bran Castle. And the medieval Saxon city of Brasov. The Halloween Party includes a delicious traditional Romanian festive dinner washed down with fiery spirits and excellent Romanian wine. A special programme including the Ritual of Killing of the Living Dead, Vampiresa Hunting, Magicians Show and many dark surprises. All these in our Guided tours Romania. Intended for those willing to discover the best parts of Transylvania’s legendary scenery in a shorter period time, the 3 day break includes UNESCO World Heritage Sites – Sighisoara and Biertan, unique events which caught the attention of media worldwide such as the live re enactment of the Ritual of Killing of the Living Dead, and a meeting with one of Romania’s unique artists, the only one who uses spider web for his paintings. The entertaining programme is complemented by the relaxing 4* accommodation, a medieval fantasy with beds and the mouth-watering vampire dinner! A Halloween tour in Transylvania, departing from Cluj-Napoca. This tour features two Transylvania Halloween parties: one in the Medieval Citadel of Sighisoara - Dracula's Birthplace and one at Hotel Dracula's Castle in Borgo Pass. The Halloween Party in Sighisoara includes a delicious traditional Romanian festive dinner washed down with fiery spirits plus excellent Romanian Wine. The programme includes the Ritual Killing of the Living Dead and many dark surprises and contests. Thus these are the best Halloween Parties in the world. A private Dracula Tour in Transylvania departing from Bucharest. The tour includes the most important places related with Dracula's life and death. Visit Vlad Dracula's birth place in the medieval citadel of Sighisoara. Then the real Dracula Castle from Poienari– Dracula's refugee place, Arefu village. Pay a visit to Dracula’s tomb in Snagov Monastery. Also included Bran Castle Dracula's iconic image. Bran castle Halloween Party it is a must if you come during Halloween. 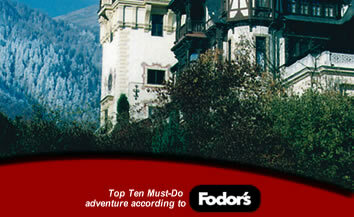 Enjoy a mysterious trip in Dracula's Realm, a private tour from our large selection of Guided tours Romania! Intended for those who would like to enjoy a weekend getaway, this private escorted break is also an ideal after business programme. You only need a weekend to discover the very essence of Transylvania: the legendary Bran Castle and Sighisoara Citadel, Dracula’s birth place. You will also visit the outstanding medieval city of Brasov. The trip is ideal for those who can take a one of the low cost flights available from London to Bucharest, every Friday. Enjoy the best Halloween ever in Dracula’s birth place – the Medieval Citadel of Sighisoara! This is a 2 day self guided break departing from the Romanian airport of your choice, be it Bucharest, Sibiu or Cluj Napoca. You can decide for yourself the type of accommodation in the citadel, from hostel style dormitories to an exquisite 5* intimate medieval hotel. The main highlight is the Halloween Party including a delicious traditional 3 course dinner with open bar amd an excellent magicians shows plus the Ritual Killing of a Living Dead (as seen on Travel Channel). These Guided tours Romania will provide you with a truly memorable experience. If you are searching for Dracula's castle Romania Halloween Party you are in the right place. Enjoy one of the most exciting Guided tours Romania in Transylvania! 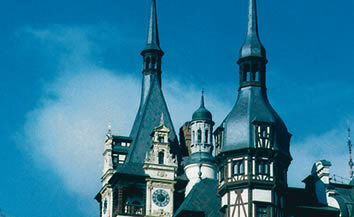 This short break include a Dracula's castle Romania Halloween party. Enjoy a traditional Romanian 3 course meal and 3 star accommodation near the Castle after this Transylvania Halloween party. Enjoy a traditional Transylvanian 3 course dinner and then explore Bran Castle Halloween night tour, Transylvania's symbol. Experience the edifice's unique charm and immerse yourselves in the myth Bram Stoker created around Dracula. Have an unforgettable night tour of Dracula's Castle. Meet the Wicked Fairies and get lost in their euphoric dance along with a glass of local red wine. Feel amazing being part of a great and dynamic Bran Castle Halloween Party in the grounds of the castle until 4:00 am.